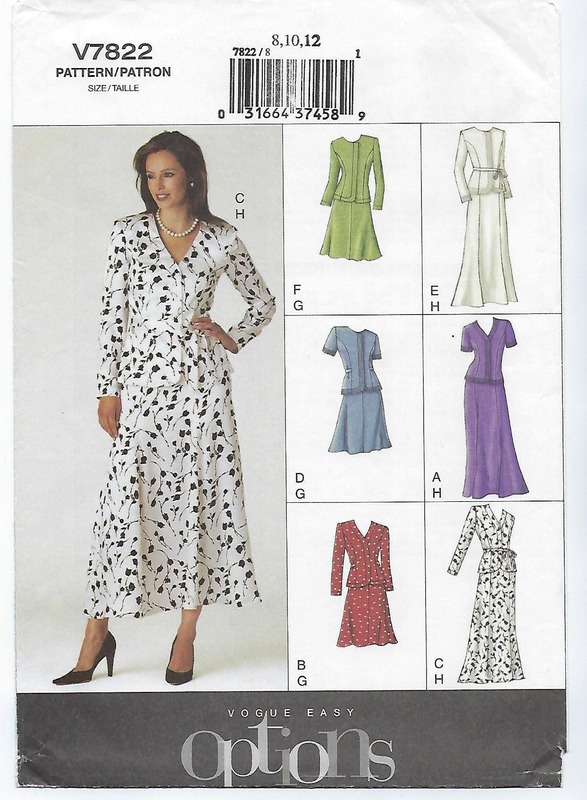 Package includes patterns and instructions to make MISSES / MISSES Petite Top and Skirt. 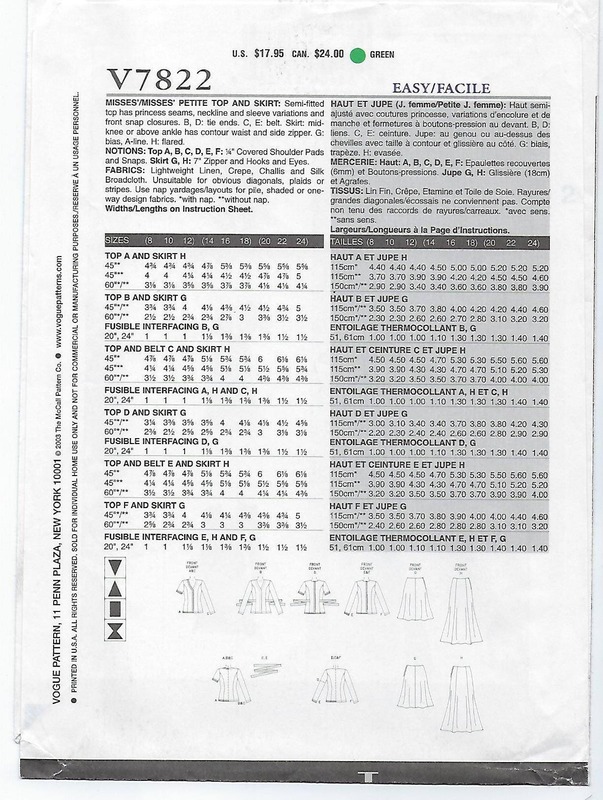 Semi-fitted top has princess seams, neckline and sleeve variations and front snap closures. B, D: tie ends. C, E: belt. 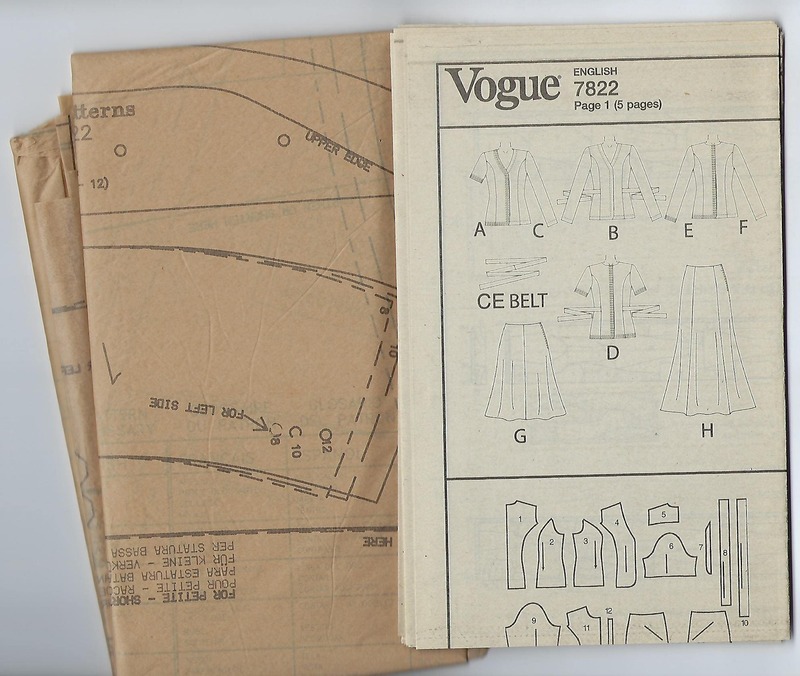 Skirt: mid-knee or above ankle has contour waist and side zipper. G: bias, A-line. H: flared.